E Safety is a top priority for our school with policies and systems in place to support you and your child so that all children and young people are protected when on-line. is empowered with the knowledge to be safe when they go on-line. The alerts and links below will support parents to help their children in becoming more safety aware on-line! "This game is not suitable for children." We have been alerted to an incident of grooming, in an app called Sarahah. This is an anonymous feedback app, which is being used to bully people online. It is also used to befriend and potentially groom unwitting users. Sarahah syncs with Snapchat and other forms of social media. Users collect personal information from other online accounts and use this to help convince the recipient they know them, sharing names and specific locations. This is a high-risk app that enables inappropriate contact with people online. It is difficult to manage and monitor. Advice we have received is to avoid this app altogether. · Remove the app if it is already installed. · Avoid linking the app with other social media accounts. · Check online friend lists. · Avoid sharing personal information on any social media account. · Be aware of who can and cannot view your content. 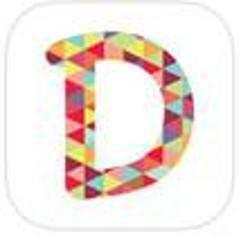 · If your child has been using this app, always encourage children to talk to a trusted adult. We have been made aware of an unsuitable on-line game called ‘Blue Whale’. We would like to inform parents that this game is not suitable for children. This game includes dangerous tasks that need to be completed. Please be vigilant and discuss your child’s safe internet use with them regularly. Roblox - this is an App game for i-pads, phones etc. It is being played by young children and is very popular but we believe there is a significant issue with the chat facility in the game. Please be aware that there is a message facility on the game where adults (strangers) can message children. We would urge you to delete the app from your children's devices and prevent them from accessing it online. Alternatively, please supervise the use of the game closely. Dumbsmash - this is a video messaging app where people can upload themselves singing over famous songs and then choose to share via WhatsApp, Facebook, Instagram or via a text message. It is not intended for children under 18 years of age, and you must be at least 13 years of age AND have parental permission to use it. In addition, there is a 'question and answer' site about the app, which talks about Dumbsmash 2. Dumbsmash 2 has nothing to do with the Dumbsmash App. It is a malware app that 'hides' itself on phones and then pushes users to sites that are wholly inappropriate and potentially illegal. As soon as it is set up, the icon deletes itself and runs the App, in the background, without the users' knowledge. BEWARE! Live.me app - This is an app where you can connect and share via live video. The concerns related to it are due to sharing content in real time with strangers and the ability to share these on social media. Please remind children of the dangers of communicating with strangers and issues relating to taking video and sharing. Omegle Site - Parents please exercise caution in allowing unsupervised access of this site! Gooseberry planet How can we stay safe online? www.thinkuknow.co.uk Think you know's website for Parents/Carers, Websites for children - Lee and Kim's Adventure & Cybercafe. www.kidsmart.org.uk Childnet's website with separate sections for children and parents. www.playstation.com PlayStation have a very useful website to help families keep safe while playing on their PlayStation. www.ee.co.uk EE have created a very informative website for Parents/Carers supporting their children with e-safety. www.vodafone.co.uk Vodafone have begun a Digital Parenting Interactive Magazine. www.bbc.co.uk CBBC have created a site called CBBC Stay Safe.